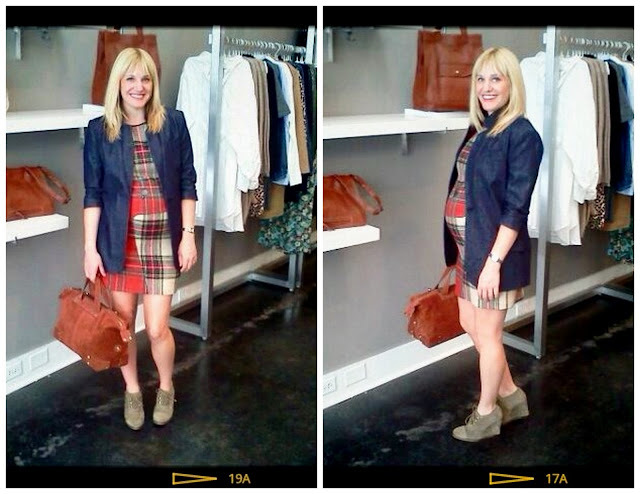 Last week the girls at Hampden Clothing (one of my favorite downtown Charleston shops) asked me to come in and style some bump friendly outfits. Since I come from the camp that subscribes to buying as little actual maternity clothes as possible, I was happy to stop in and play. We put together 7 “Wear Your Baby Bump Well” looks in total that Hampden is sharing over on their blog. Outfits range from a playdate in the park, a doctor’s visit (b/c any woman who has been pregnant knows it’s important to dress lightly for that scale! ), to a date night. They even included shopping clickables for everything you see me wearing in the photos. So if you’d like to see more of the styling session, visit Hampden’s Blog. Love this post! And might I add you look amazeballs in every outfit! Love the Tucker Dress and the plaid shirt you choose! 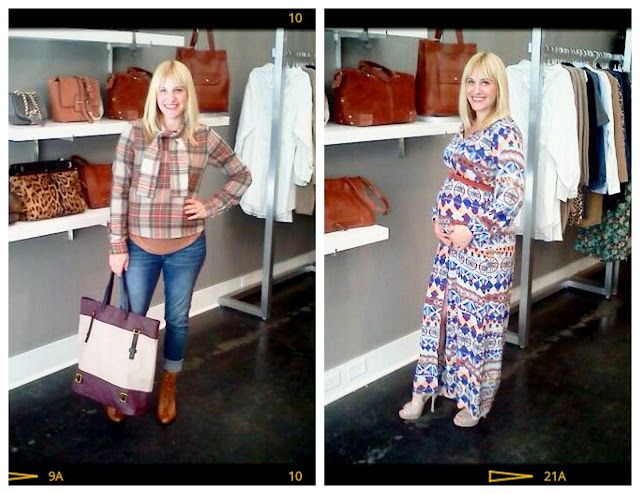 How fun, now I will need you to style me while preggers! Such a great post! You do look cute in every outfit. I agree with buying as little maternity as possible, and laughed out loud with dressing lightly for the scale! Something I have been doing at doctor’s visits(we are expecting our second in April). Also, wanted to let you know that I saw the black Michael Kors booties at 30% off in Macys! You look so cute!! I love that first outfit the best. We don’t have any children yet, but I love your mentality on purchasing as little maternity clothes as possible. That dress is so fun too!! You are one stylish momma. I love all of the outfits, especially the long (Tucker?) dress. Hey hot mama. Those photos are great . . such cute clothes. You make pregnancy look GOOD! How fun! I’m from that same mindset as well – as little “maternity” clothes as possible – I’d rather spend my $$ on other lasting items! :) You look fabulous! I LOVE how you styled these! Fabulous. I really like that maxi dress on you – so chic and pretty. you look so cute in everything! Great feature! Oh yes, as few maternity clothes as humanly possible is the way to go! You look adorable! Going to check their blog out now! What a styling momma! I lovee that Tucker dress. This is so fun and I am so glad that you did this because honestly there are not many things worse than maternity clothes and this gives women a great alternative!